When does DHR review State projects? What is the review process for State projects? What are the responsibilities of the State agency? What are the responsibilities of DHR in State reviews? DHR reviews and comments on State agency projects that are subject to the State Environmental Review Act and coordinates on the review with the Department of Environmental Quality, Office of Environmental Review. DHR’s comments, with those of other agencies and local governments concerned with environmental protection, are integrated into a single response from DEQ. DHR also comments on all State agency proposals for demolition of any structure, pursuant to Department General Services procedures. DHR’s comments are submitted to DGS for consideration. Lastly, DHR is afforded an opportunity to comment on State agency proposals to alter or destroy properties on the Virginia Landmarks Register. DHR’s comments are submitted to the Department of General Services (DGS) and to the agency initiating the project. DHR reviews proposed projects submitted by State agencies to determine their effects on historic resources in the Commonwealth. Projects are reviewed first to determine if previously identified historic resources are in the project area. Sometimes it is necessary for State agencies to conduct architectural or archaeological surveys in order to identify significant properties. If the project is likely to affect an historic property, DHR works with the State agency to reach a solution that will minimize effects to the historic property. The State agency should provide DHR with sufficient information (project location maps, photographs, a project description, etc.) 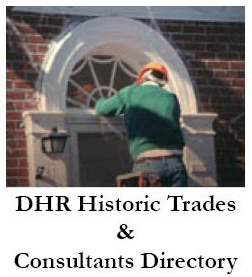 to enable DHR to assess the effects of a project on historic property. 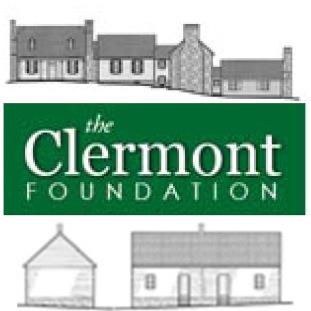 State agencies are responsible for protecting the historic and archaeological resources owned by the Commonwealth of Virginia. DHR is responsible for assisting State agencies in the fulfillment of their obligation to protect and preserve the Commonwealth’s historic and archaeological resources. DHR does this by maintaining information about historic resources and the methods recommended by experts to ensure their preservation. Department staff members are available to meet with State agencies and their consultants to offer technical preservation assistance and project review comments. DHR is required to respond to review and technical assistance requests in a timely manner, usually within 30 days. The department has developed an Electronic Project Information Exchange (ePIX) system to facilitate this consultation. human remains and artifacts from graves; permits for either exploration or recovery of underwater historical properties, and for conducting research within caves and rock shelters. Ultimately, the Governor has final decision-making authority for all state-sponsored projects.